Hello and a happy Thursday to you. 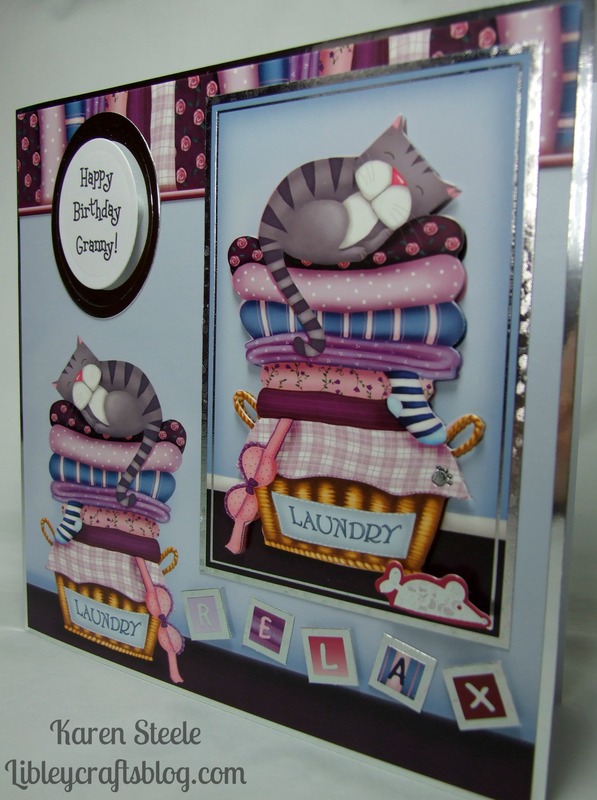 Today I’m back as promised with another card that I have made using a kit from Hunkydory called Cute Kitties. This one is for my kids to give to their Granny for her birthday. I thought this kitty would be great for her as she’s always cleaning or washing and ironing! I don’t know if you can tell from this picture but the rectangle topper is actually decoupaged. I made up the greeting on the computer and used a Spellbinder’s Oval Die to cut it out with. The only other supplies that I have used are silver mirror card and foam pads. < Previous Hunkydory – Cute Kitties and Precious Pooches….. Your cards are always so good. This is no exception. Great card, great fun. I like the little ‘relax’ joke too! Great companion to the dog cards! 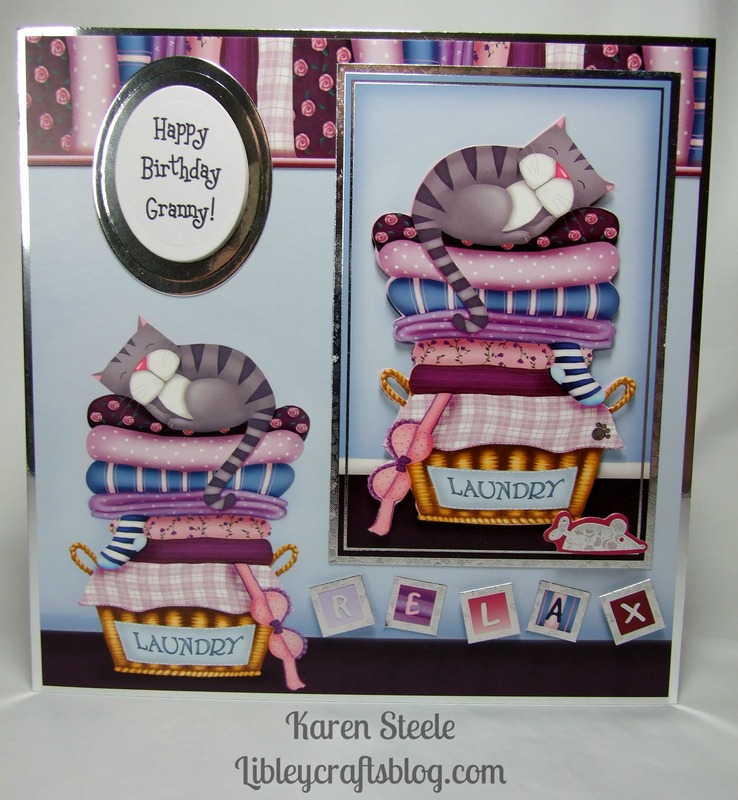 Love the colors in this set too – Great card Karen! What a sweet kitty card! I like the way you added the sentiment, like a picture on the wall, great idea!